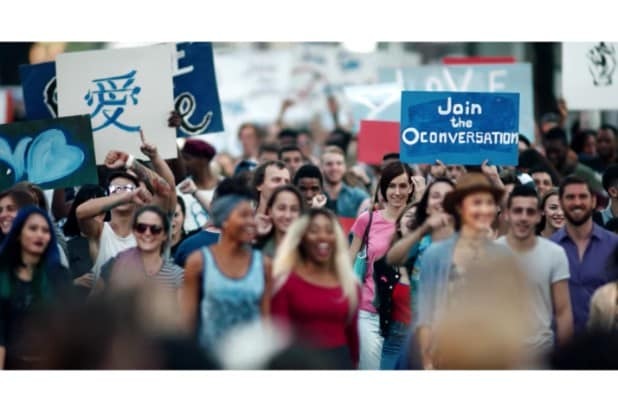 Our establishing shot, a peaceful but super-vibey protest running through a major city, where all participants coordinated a primary-color sign-making session that happens to coincide with Pepsi’s own iconic colors. But protest whatever, it’s Kendall time. 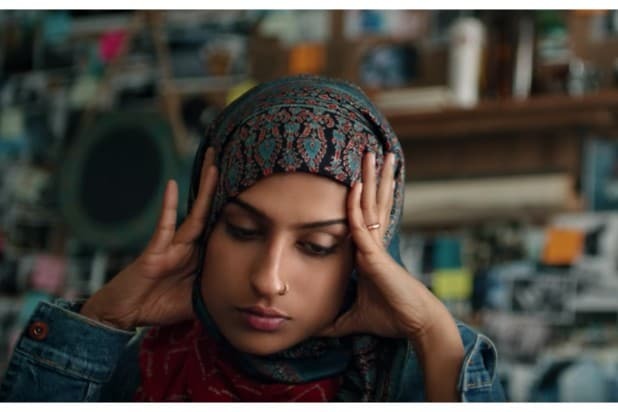 And it appears her function as a highly paid model in this ad to sell Pepsi is playing a highly paid model. She’s sitting for a photo shoot at the entrance of a hotel, blithely unaware of the thousands of cute extras parading down the street. 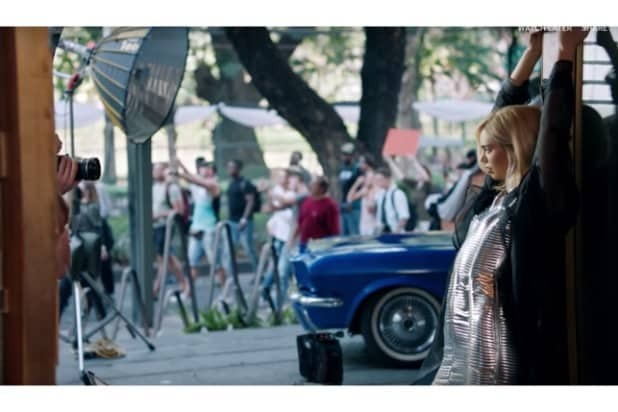 Also, something about the way this African-American woman is tending to her hair feels like a misappropriation of a long-held plea from black women to everyone else: Please don’t touch my hair. Even you, Sarah Paulson. 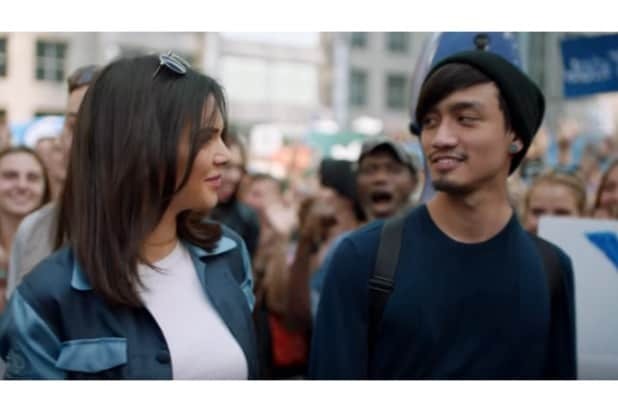 So, fine, Kendall isn’t the only one being like a touch oblivious to this “conversation” Pepsi wants you to join, which is a march that has time allotted for repeated dance breaks and jam sessions. How good does that burger look, though? Right next to that Pepsi-branded cup. Meanwhile back at the march, let’s pose for some action shots. 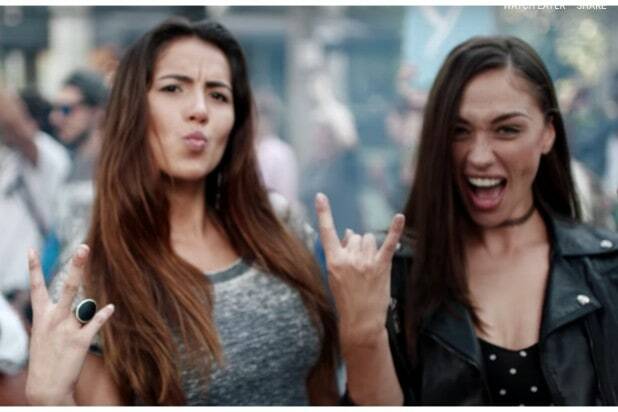 You know what image would look amazing piggy-backed onto this sort of fun-loving, music festival moment where we’re throwing hands up in the air and smiling? Like what we should show directly after it? 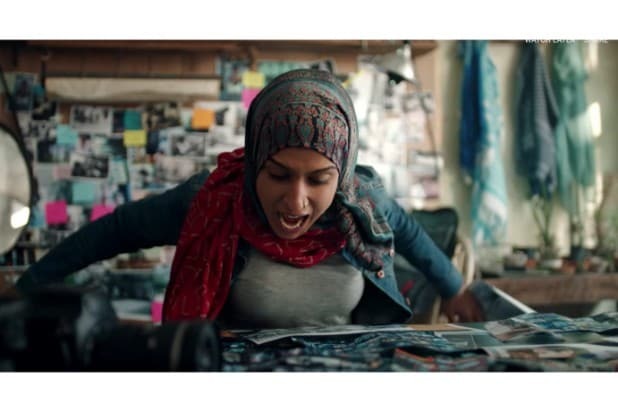 This photographer in a hijab, really upset with pages and pages of her own work. I wonder if there’s any place she can find inspiration? While she takes a break to ponder that (and makes the exact same expression we did for the entirety of this clip), Jenner is gearing up for a real moment of self-awareness and galvanization. 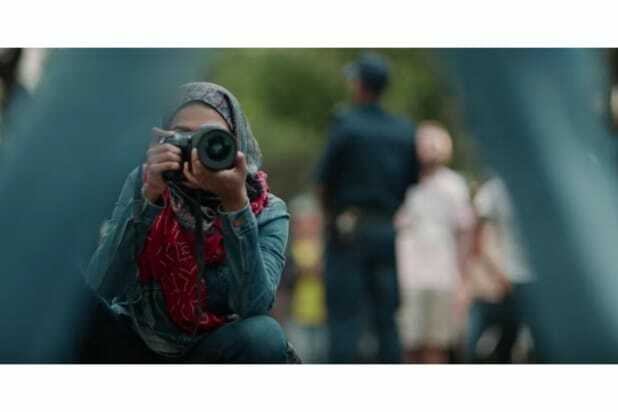 A catalyst that puts her into the center of the movement. 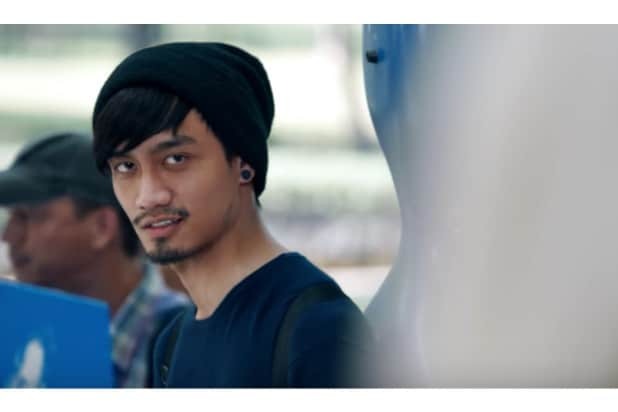 And it arrives when this passing boy gives her bedroom eyes and persuades her to leave her modeling gig (literally, walk out of the shot) and join the resistance because, who knew there would be dudes running around there?? Bye, modeling. Like, who cares? Even Gwyneth Paltrow said the Met Gala isn’t fun anymore. She tosses that wig back at the woman from the first frame, who makes a priceless expression that says: Why have you given this to me. 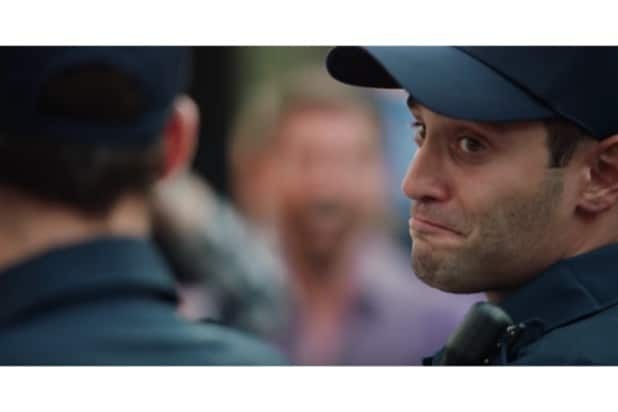 I hope this romance continues across Pepsi brands. Like, they’ll get engaged in a Mountain Dew fountain while consoling victims of a terror attack. Our photographer is back! And she seems to finally have a muse. 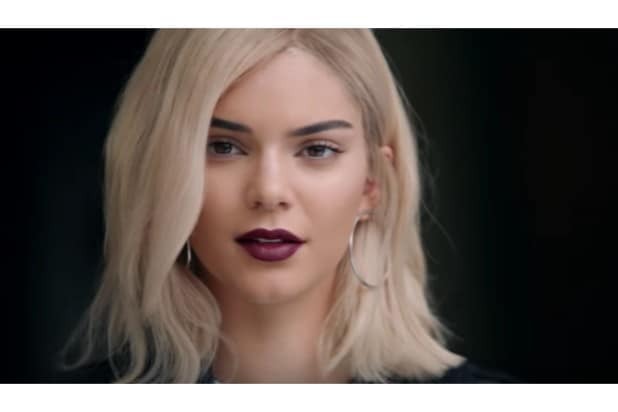 It’s Kendall, and those blurred lines are her legs strutting in Pepsi-blue trousers toward the most horrifying moment of this ad. Here it is! 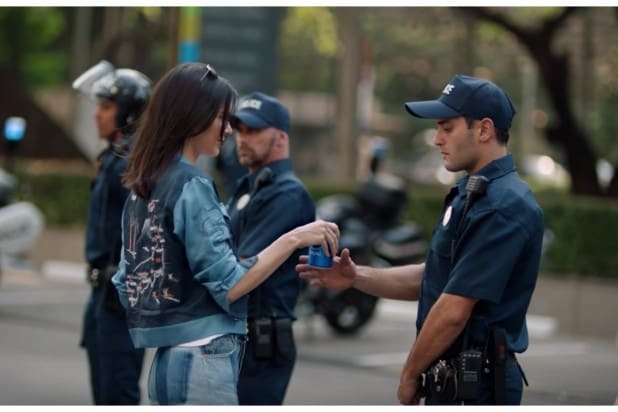 Ms. Jenner hands a patrolling officer a can of Pepsi (make sure you clock that police officer in the background on the left, whose flipped-up motorcycle helmet visor can sublimate police riot gear without requiring the stones to actually use it in your commercial). This image calls as far back to the iconic Flower Power photo of a carnation in the barrel of a gun during a Vietnam war protest in 1967, right up to Ieshia L. Evans, who was detained by police in Louisiana for peacefully protesting the close-range shooting of Alton Sterling by two cops.